Jean Paul Gustave Ricœur (French: [ʁikœʁ]; 27 February 1913 – 20 May 2005) was a French philosopher best known for combining phenomenological description with hermeneutics. As such, his thought is within the same tradition as other major hermeneutic phenomenologists, Martin Heidegger and Hans-Georg Gadamer. In 2000, he was awarded the Kyoto Prize in Arts and Philosophy for having "revolutionized the methods of hermeneutic phenomenology, expanding the study of textual interpretation to include the broad yet concrete domains of mythology, biblical exegesis, psychoanalysis, theory of metaphor, and narrative theory." Paul Ricœur was born in 1913 in Valence, Drôme, France to Jules and Florentine Favre Ricœur, a devout Protestant family, making him a member of a religious minority in Catholic France. Ricœur's father died in a 1915 World War I battle when Ricœur was only two years old. He was raised by his paternal grandparents and an aunt in Rennes, France, with a small stipend afforded to him as a war orphan. Ricœur, whose penchant for study was fueled by his family's Protestant emphasis on Bible study, was bookish and intellectually precocious. While he attended the Lycée de Rennes (now Lycée Émile-Zola de Rennes) and studied under Roland Dalbiez, he discovered philosophy. Ricœur received his bachelor's degree in 1932 from the University of Rennes and began studying philosophy, and especially phenomenology, at the Sorbonne in 1933–34, where he was influenced by Gabriel Marcel. In 1934 he completed a DES thesis (diplôme d'études supérieures, roughly equivalent to an MA thesis) on the question of God in Jules Lachelier and Jules Lagneau, Problème de Dieu chez Lachelier et Lagneau (The Problem of God in Lachelier et Lagneau). In 1935, he was awarded the second-highest agrégation mark in the nation for philosophy, presaging a bright future. In the same year he married Simone Lejas with whom he had five children. In 1936–37, he fulfilled his military service. World War II interrupted Ricœur's career, and he was drafted to serve in the French army in 1939. His unit was captured during the German invasion of France in 1940 and he spent the next five years as a prisoner of war in Oflag II-D. His detention camp was filled with other intellectuals such as Mikel Dufrenne, who organized readings and classes sufficiently rigorous that the camp was accredited as a degree-granting institution by the Vichy government. During that time he read Karl Jaspers, who was to have a great influence on him. He also began a translation of Edmund Husserl's Ideas I.
Ricœur taught at the University of Strasbourg between 1948 and 1956, the only French university with a Protestant faculty of theology. In 1950, he received his State doctorate, submitting (as is customary in France) two theses: a "minor" thesis translating Husserl's Ideas I into French for the first time, with commentary, and a "major" thesis that he published the same year as Philosophie de la Volonté I: Le Volontaire et l'Involontaire (Philosophy of the Will I: The Voluntary and the Involuntary). Ricœur soon acquired a reputation as an expert on phenomenology, then the ascendent philosophy in France. In 1956, Ricœur took up a position at the Sorbonne as the Chair of General Philosophy. This appointment signaled Ricœur's emergence as one of France's most prominent philosophers. While at the Sorbonne, he wrote three works that cemented his reputation: Fallible Man and The Symbolism of Evil published in 1960, and Freud and Philosophy: An Essay on Interpretation published in 1965. Jacques Derrida was an assistant to Ricœur during that time (early 1960s). From 1965 to 1970, Ricœur was an administrator at the newly founded University of Nanterre in suburban Paris. Nanterre was intended as an experiment in progressive education, and Ricœur hoped that he could create a university in accordance with his vision, free of the stifling atmosphere of the tradition-bound Sorbonne and its overcrowded classes. Nevertheless, Nanterre became a hotbed of protest during the student uprisings of May 1968 in France. Ricœur was derided as an "old clown" (vieux clown) and tool of the French government. Disenchanted with French academic life, Ricœur taught briefly at the Université catholique de Louvain in Belgium, before taking a position at the Divinity School of the University of Chicago, where he taught from 1970 to 1985. He was elected a Foreign Honorary Member of the American Academy of Arts and Sciences in 1971. His study culminated in The Rule of Metaphor: Multi-Disciplinary Studies of the Creation of Meaning in Language published in 1975 and the three-volume Time and Narrative published in 1983, 1984, 1985 Ricœur gave the Gifford Lectures in 1985/86, published in 1990 as Oneself as Another. This work built on his discussion of narrative identity and his continuing interest in the self. Time and Narrative secured Ricœur's return to France in 1985 as a notable intellectual. His late work was characterised by a continuing cross-cutting of national intellectual traditions; for example, some of his latest writing engaged the thought of the American political philosopher John Rawls. In 1995 he received an honorary doctorate from the National University of Kyiv-Mohyla Academy. In 1999, he was awarded the Balzan Prize for Philosophy, the citation being "[f]or his capacity in bringing together all the most important themes and indications of 20th-century philosophy, and re-elaborating them into an original synthesis which turns language - in particular, that which is poetic and metaphoric - into a chosen place revealing a reality that we cannot manipulate, but interpret in diverse ways, and yet all coherent. Through the use of metaphor, language draws upon that truth which makes of us that what we are, deep in the profundity of our own essence". That same year, he and his co-author André LaCocque were awarded the Gordon J. Laing Award by the University of Chicago's Board of University Publications for their book Thinking Biblically: Exegetical and Hermeneutical Studies. On 29 November 2004, he was awarded with the second John W. Kluge Prize for Lifetime Achievement in the Human Sciences (shared with Jaroslav Pelikan). Ricœur died on 20 May 2005 at his home in Chatenay Malabry, France, of natural causes. French Prime Minister Jean-Pierre Raffarin declared that "the humanist European tradition is in mourning for one of its most talented exponents". "In proposing to relate symbolic language to self-understanding, I think I fulfill the deepest wish of hermeneutics. The purpose of all interpretation is to conquer a remoteness, a distance between the past cultural epoch to which the text belongs and the interpreter himself. By overcoming this distance, by making himself contemporary with the text, the exegete can appropriate its meaning to himself: foreign, he makes it familiar, that is, he makes it his own. It is thus the growth of his own understanding of himself that he pursues through his understanding of others. Every hermeneutics is thus, explicitly or implicitly, self-understanding by means of understanding others." "This is why philosophy remains a hermeneutics, that is, a reading of the hidden meaning inside the text of the apparent meaning. It is the task of this hermeneutics to show that existence arrives at expression, at meaning, and at reflection only through the continual exegesis of all the significations that come to light in the world of culture. Existence becomes a self – human and adult – only by appropriating this meaning, which first resides "outside," in works, institutions, and cultural movements in which the life of the spirit is justified." Furthermore, the process of hermeneutics, and extracting meaning, is a reflective task. The emphasis is not on the external meaning, but the meaning or insight of the self which is gained through encountering the external text—or other. The self-knowledge gained through the hermeneutical process is, thus, indirectly attained. This is in opposition to the Cartesian cogito, "which grasps itself directly in the experience of doubt," and is "a truth as vain as it is invincible." In point of fact, the difference Ricœur aims to distinguish is the means by which the self is discovered, which for him is only by means of interpreting the signified. According to Ricœur, the aim of hermeneutics is to recover and to restore the meaning. The French philosopher chooses the model of the phenomenology of religion, in relation to psychoanalysis, stressing that it is characterized by a concern on the object. This object is the sacred, which is seen in relation to the profane. Ricœur's hermeneutical work Freud and Philosophy contains the famous assertion that Karl Marx, Friedrich Nietzsche and Sigmund Freud are masters of the school of suspicion (maîtres du soupçon/école du soupçon). Marx is reductionist, because he reduces society to economy, particularly to means of production; Nietzsche is a reductionist, because he reduces man to an arbitrary concept of superman; Freud is a reductionist because he reduces human nature to sexual instinct. In The Rule of Metaphor and in Time and Narrative, Vol. 1, Ricœur argues that there exists a linguistic productive imagination that generates/regenerates meaning through the power of metaphoricity by way of stating things in novel ways and, as a consequence, he sees language as containing within itself resources that allow it to be used creatively. Gabriel Marcel et Karl Jaspers. Philosophie du mystère et philosophie du paradoxe [Gabriel Marcel & Karl Jaspers: Philosophy of mystery & Philosophy of paradox] (in French), Paris, Temps Présent, 1948 . History and Truth, trans. Charles A. Kelbley. Evanston, Northwestern University Press, 1965  . ↑ Ricœur borrowed the term "split reference" from Roman Jakobson. ↑ Michaël Fœssel and Fabien Lamouche, Paul Ricœur. Anthologie (Paris, Éditions Points, 2007), pp. 417–9. ↑ Don Ihde, Hermeneutic Phenomenology: The Philosophy of Paul Ricoeur, Northwestern University Press, 1971, p. 198. ↑ P. Ricœur, The Rule of Metaphor: The Creation of Meaning in Language, Routledge, 2003, pp. 5, 265ff., 362ff. ↑ Carl R. Hausman, Metaphor and Art: Interactionism and Reference in the Verbal and Nonverbal Arts, CUP Archive, 1989, pp. 105–6; Kaplan 2003, pp. 48–9. ↑ Ricœur, P., "L'imagination dans le disocurs et dans l'action", in Ricœur, P., Du texte à l'action. Essais d'herméneutique II, Paris, Seuil (translated as "Imagination in Discourse and in Action," in Ricoeur, P., From Text to Action, Blamey K and Thompson J (trans. ), Northwestern University Press, Evanston, Illinois). 1 2 3 4 5 Michaël Fœssel and Fabien Lamouche, Paul Ricœur. Anthologie (Paris, Éditions Points, 2007), p. 417. ↑ Aya Ono, "Le parcours du sens : Ricœur et Benveniste", Semiotica, Vol. 168 (1/4), International Association for Semiotic Studies, 2008. ↑ "Paul Ricœur". Inamori Foundation. Retrieved 15 December 2012. 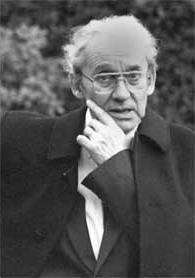 1 2 3 Encyclopedia of World Biography: 20th century supplement, Volume 13, J. Heraty, 1987: "Paul Ricoeur". ↑ Marcelino Agís Villaverde, Knowledge and Practical Reason: Paul Ricoeur's Way of Thinking, LIT Verlag Münster, 2012, p. 18. ↑ Alan D. Schrift (2006), Twentieth-Century French Philosophy: Key Themes And Thinkers, Blackwell Publishing, p. 172. ↑ A second volume under the title Philosophie de la Volonté II: L'homme faillible et La symbolique du mal (Philosophy of the Will II: Fallible Man and The Symbolism of Evil) appeared in 1960. ↑ Geoffrey Bennington (1991), Jacques Derrida, University of Chicago Press, p. 330. ↑ During that time, Ricœur was Cornelius Castoriadis' long-distance doctoral advisor (Dosse 2014, p. 264). ↑ Reagan 1996, p. 69. ↑ Dosse 1997, p. 529. ↑ "Book of Members, 1780-2010: Chapter R" (PDF). American Academy of Arts and Sciences. Retrieved 19 April 2011. 1 2 3 Ricœur, Paul, Charles E. Reagan, and David Stewart. "Existence and Hermeneutics." In The Philosophy of Paul Ricœur: An Anthology of His Work. Boston: Beacon Press, 1978, pp. 101 and 106. ↑ Eliade, Mircea (1987), The Sacred and the Profane: The Nature of Religion, translated by Willard R. Trask. San Diego: Harcourt Brace Jovanovich, Inc.
↑ Waite, Geoff (1996). Nietzsche's Corpse, Duke University Press, 1996, p. 106. ↑ Iţu, Mircia (2002), Introducere în hermeneutică (Introduction to Hermeneutics), Brașov: Orientul latin, p. 63. ↑ Ricœur, P., The Rule of Metaphor: Multi-Disciplinary Studies of the Creation of Meaning in Language, trans. Robert Czerny with Kathleen McLaughlin and John Costello, S. J., London: Routledge and Kegan Paul 1986, p. 4. ↑ Ricœur, P., 1984, Time and Narrative, Vol. 1, McLaughlin, K. and Pellauer, D. (trans. ), University of Chicago Press, Chicago, Illinois, p. 109. ↑ This concept is based on Immanuel Kant's distinction between productive imagination which explains the possibility of cognition of a priori, and the reproductive imagination which explains the synthesis of empirical laws (KrV B152); see Ricoeur 1986, p. 223 and Kaplan 2008, p. 175. ——— (2014), Castoriadis. Une vie [Castoriadis, a life] (in French), Paris: La Découverte . ———, ed. (2008), Reading Ricoeur, Albany: SUNY Press . Rita Felski, "Critique and the Hermeneutics of Suspicion", M/C Journal, Vol. 15, No. 1 (2012). Ruthellen Josselson, "The hermeneutics of faith and the hermeneutics of suspicion", Narrative Inquiry, 14(1), 1–28. George H. Taylor, "Ricoeur's Philosophy of Imagination", Journal of French Philosophy, Vol. 16, p. 93, 2006.